When will be Windscreen Watch next episode air date? Is Windscreen Watch renewed or cancelled? Where to countdown Windscreen Watch air dates? Is Windscreen Watch worth watching? A career threatening injury suffered by the star player of the team, a drug scandal involving another, and an impending road project which will see the removal of the intersection all together are just a few of the issues that Taylor 'Coach' Buchanan and the Vic-Hoddle Panthers have to contend with while attempting to maintain their almost perfect record on the pavement.Think Friday Night Lights meets Baywatch, but with a uniquely Australian feel to it. Windscreen Watch next episode air date provides TVMaze for you.  EpisoDate.com is your TV show guide to Countdown Windscreen Watch Episode Air Dates and to stay in touch with Windscreen Watch next episode Air Date and your others favorite TV Shows. Add the shows you like to a "Watchlist" and let the site take it from there.